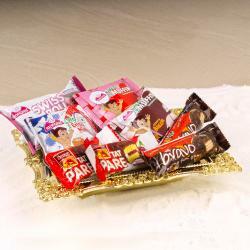 Product Consist : Bar Cake with Swiss Roll (Total Weight : 200 gms) in a Designer Basket along with Christmas Greeting Card. 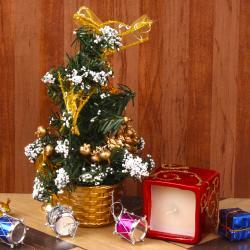 Christmas comes with joyful feeling and excitement. 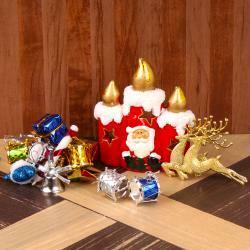 It is festival of happiness buying gifts, sending gifts to dear ones and also receiving lovely gifts. 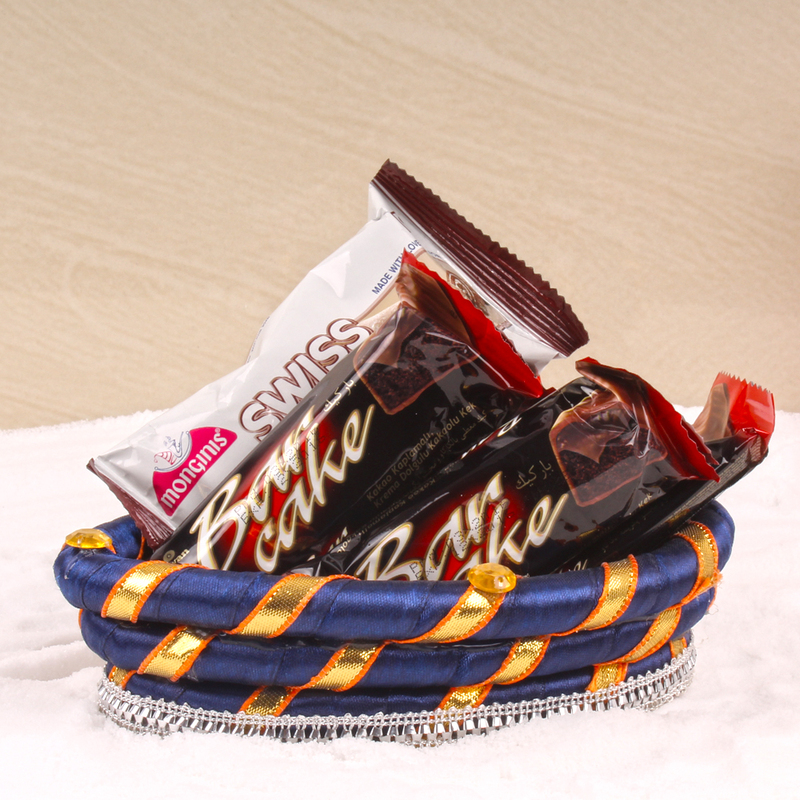 So Why are you waiting for Giftacrossindia gives a chance to buy a lovely Christmas gift basket which includes Bar Cake, Swiss Roll along with greeting card with special message to completely delight your dear ones in India. 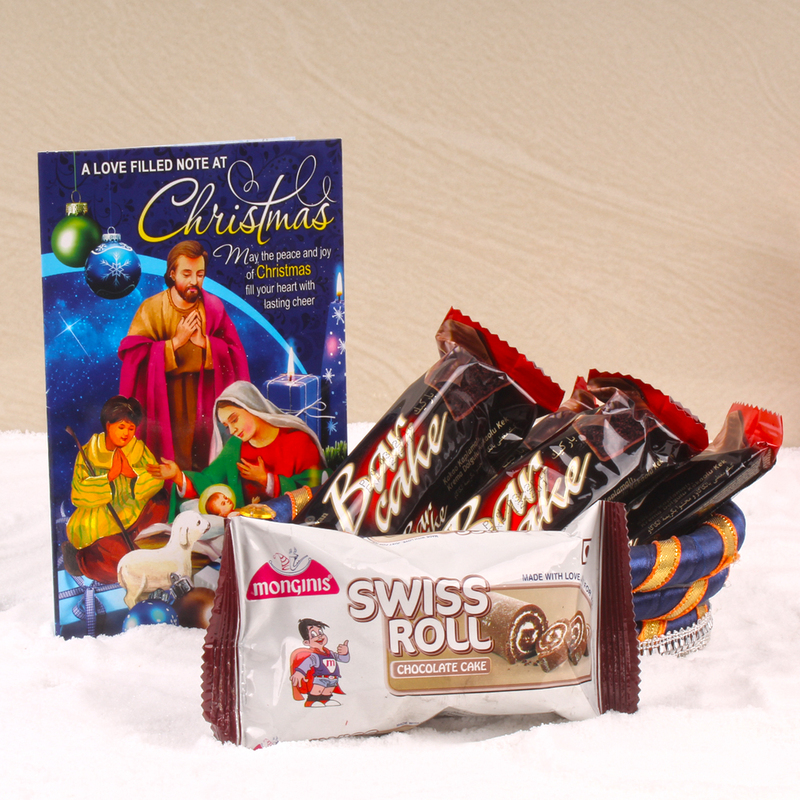 Product Consists : Bar Cake with Swiss Roll (Total Weight : 200 gms) in a Designer Basket along with Christmas Greeting Card.